Potting or planting rooted cuttings. What to do with cuttings after they are rooted. 1. You can plant them in a bed and grow them from there. 2. You can put them in pots and grow them right in the container. We use these $4.97 containers. How soon after they are rooted can you do that? You can pot them or plant them in a bed once they have a nice little root ball and that will vary from plant to plant. Ideally, you should have many roots that are at least 3/4 of an inch long. Questions or comments post them below. It is August 29. I am moving Sept 12. I have number of cuttings I rooted this past spring… i think I will okay potting them and taking them with me. However, I also have several plant that I planted in my temporary bed. I was planning on potting them later after they go dormant… but since I am moving, I will need to try to pot them now…… is there anyway to do this safely without shocking the plants? Water them well, dig way out around them so as to not cut significant root and hope for the best. Hi Mike! I have hollyhocks I potted up last fall in gallon containers. They didn’t all sell in my June sale. Now the roots are hanging out of the pots.. Do you think they will overwinter alright? I can put them in my greenhouse, but I’m concerned about the roots. What do you think? Sounds like they are root bound, root bound plants do not over winter well. I’d shift them to a larger container before winter. Mike doesn’t seem worried or bothered by it, nor should you, my friend. Just listen and learn. If it distracts you that much, just listen and watch out your window or twiddle your thumbs. Mike is simply authentic, Donna. You should try it. You might like it and learn something or lower your blood pressure at the same time. Stay real, Mike. We love you just the way you are! Hey Mike, I see from the link you keep thousands of potted $4.97 plants & shrubs. How do you keep these over the winter/snow? Do you simply cover with white plastic and leave in the pots? Curious how they would hold up over winter not being in the ground. Whatever your method, would it be same for perennials and shrubs? If you cover, white plastic for sure. http://www.freeplants.com/how-to-build-a-hoop-house.htm. My container areas are recessed below grade so wind doesn’t hit the pots. Last winter, days and days below zero, as low as 15 below, most things did fine. We lost some as did most growers, but all in all things did fine. They have to be moist, you cannot allow them to dry out over the winter, or be wet all the time. If the potting soil drains well they should be fine. Water if you get a warm spell. My grandmother purchased a variegated peach tree 84 years ago. I was able to get tiny plants from it and planted one in a backyard I owned 20 years ago and again in my backyard now. Unfortunately, the one I planted here died at age 10 years. I was heartbroken. But, the other one that is just a mile from me is huge. It is a very unusual peach tree as it blooms white on one side, pink in the middle, and red on the other side. I can easily get to this tree and get cuttings. I have just watched all of the videos from Mike but didn’t see how long it takes the cutting to make a root ball and how do you know when you have a root ball so you can transplant it? So, that is my question. I am thrilled to have found this site and to possibly be able to have another generation of my grandmother’s peach tree. Depending on the plant cuttings can take from 4 weeks to 8 weeks to root. Use one of these methods, http://www.freeplants.com/homemade-plant-propagation.htm. You’ll know the cutting is rooted when you pull on the cutting and feel resistance. Once you have a nice ball of roots about 1″ long you can transplant into a garden in a protected area. After that only move the plant when it is dormant. I just finished pulling up landscape fabric and it was a nightmare, like you said. In the video showing what to do after plants root, I noticed behind you several rolls of the stuff. Do you use it after all? I never use the weed barrier fabric they sell in the stores. We use a commercial ground cover material that all nurseries use to put under out potted plants, it’s much, much heavier and we never put anything over it like soil, mulch or stone. If we need to change it picking it up is a breeze because the only thing we put on top of are potted plants that we sell. It’s a very different product than the stuff sold in the stores and costs several hundred dollars per roll. Thank you, it was very interesting. Lovely grandson. I potted up some cuttings about three weeks ago. I put them in small plastic (4″) pots with plastic drink bottles with the bottoms cut off. Some look like they are actually rooting up. My question is What about winter? What should I do to prep for winter, watering and all that? I am in Idaho, zone 5. I love your videos and tips. I have a question about you video production. Please tell me what kind of camera you use for your clips. I’m not even sure. I think it’s a Cannon 1080 something. Pretty basic really. We used to use a wireless mic but that became problematic so lately we’ve been using the mic on the camera. Works pretty well but we really need to put a wind screen over the mic as many have suggested, just haven’t taken the time to order one yet. Need a new camera, that one is giving us grief now. innovation is your trademark mike! my brother used a home made shield by bending a piece of heavy card stock (or cardboard) into a U with the bottom trimmed for the camera to rest on (and a hole drilled where the tripod mount goes and he had a shield for a few minutes of his time and the thing lasted for over a year. Thanks Mike!! Great video as always. I learn so much from you! And I look forward to receiving your emails and videos. 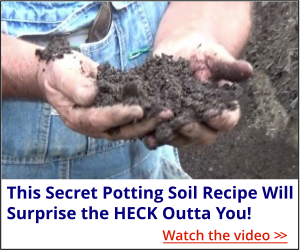 Mike thanks for the great video what potting soil do you use? Keep your ideas coming ! Thanks for all the time and effort and thought you put into your videos. I’m almost finished watching all 44 pages. Thanks for “Mondays with Mike”. Is it O.K. if we use some of the beautiful photos you post in these videos? Thanks for the video on potting up rooted cuttings. Your grandson is a delight! How wonderful that he is growing up with a grandpa that teaches so many valuable lessons. I especially was interested in how much of the slow-release fertilizer you use in each pot. Though you didn’t show or mention it, I assume you mix it into the soil on the top…..not just leaving it in a pile….right??? Thanks for all the wonderful information and tips. How do I get rid of Nutgrass (Yelllow Sedge,Purple Sedge) in my garden? Home depot has nutsedge killer. I have quite a bit which I have to keep killing out.this grass. I hate it, but I have to much I have to use a bigger sprayer to get rid of this much.